As a company, we are laser focused on software quality assurance. We needed a quality assurance platform that delivered dynamic 360-degree views of Agile software testing. We created QACube because we needed end-to-end visibility in our own testing practice. As a result, today’s progressive test managers no longer need multiple do-it-yourself spreadsheets showing static counts and outdated information. Instead, they can organize data into snapshots and dashboards that present information the way they want to see it. QACube even automates and aggregates the Big Data of complex testing in global enterprise. 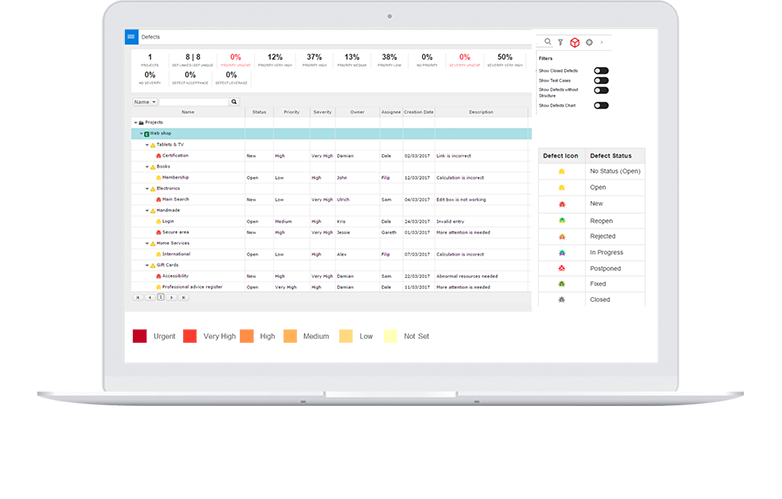 With visual analytics on digital, customizable dashboards, QACube is truly the next generation of QA reporting tool. Make effective QA reporting part of your Agile application lifecycle management process. Click here to read the QA Enterprise White Paper in English or German. You don’t need more software testing spreadsheets. You need the right information, at the right time, to make data driven decisions. Stale, static information won’t help you make the informed, timely decisions that save you time and money. You need predictive, automated test analytics on a QA graphics dashboard that is as Agile as your software development process. See the trends. Gain actionable insight into cross project QA. Uncover opportunities for radical improvements. Adopt QACube and glean fresh insights into your software quality assurance efforts. Click here to read the QACube Test Execution Datasheet, and see the heartbeat of our product. We help software professionals collaborate. Gone are the silos that once separated testers from developers. Today, quality control is everyone’s job. QACube was built with that collaboration in mind. Our industry leading visual analytics dashboards empower individuals and teams to customize their own views and organize their own graphics at every level. Yet, they also enable standardization of key metrics, KPIs and reports across the enterprise. QA software test management analytics help everyone see quality, think quality, and do quality better. As a test manager, you’re always striving for document control. Well, now you can have it. In fact, you can get updates without any of the labor-intensive spreadsheets of the past. In place of that, you get colorful, easy to interpret, customizable QA reporting dashboards that aggregate, automate, and consolidate data from multiple sources, projects, and solutions. Get visual analytics that measure and display the most up-to-date status of software quality assurance testing. QACube is the ultimate digital solution for improving software quality assurance. Click here to read the QA Enterprise Datasheet. QACube comes equipped with fully functional dashboard designs that outperform our competitors. However, for even greater customization, use our portfolio of widgets to create your own views. Add widgets, move them around, and even edit them to create a dashboard that is appealing and effective. Display Specification, Automation, or Execution KPIs. Create a pie chart or a bar graph. Choose the metrics that your team needs to track and hide other metrics. Drill down to the level of granularity that you choose. 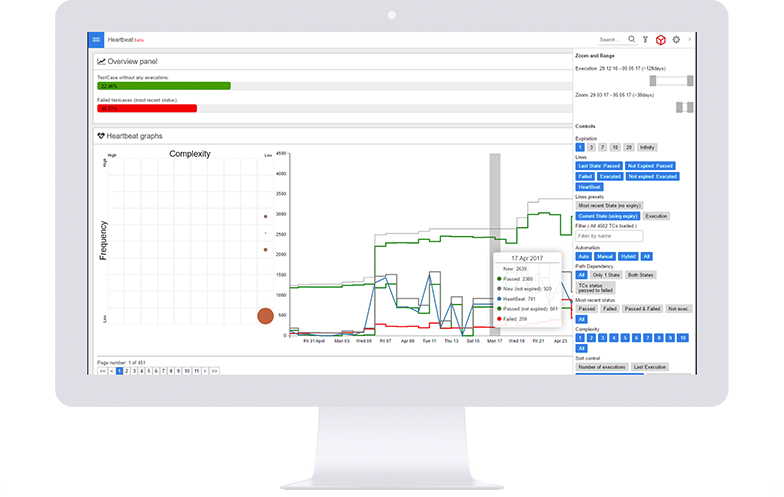 For complex testing environments, view the status of multiple teams arranged by execution or automation percentages, defect rates, KPIs, and measures across platforms, and systems. Easily interpreted graphics visualize the data so that non-technical stakeholders can monitor progress. High standards for quality assurance should no longer create a bottleneck making software testing and reporting easier than ever.